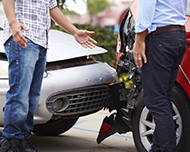 Harshbarger Law recognizes the complexities involved when handling car accident cases. It is important to have an attorney who understands that each case is different and special attention must be paid to the client to ensure that he or she is properly represented and fully compensated. Our team commitment and professionalism allows Harshbarger Law to provide its clients with the best legal representation available. "At Harshbarger Law, our focus is on our client. We combine the advantages of an established local practice with current office technology necessary to process cases thoroughly, efficiently, and economically." At Harshbarger Law, our focus is on our client. We combine the advantages of an established local practice with current office technology necessary to process cases thoroughly, efficiently, and economically. Our team integrates personalized services with aggressive litigation styles to provide focused and specific services needed to advance the best interests of the clients and to obtain the best result. Harshbarger Law specializes in the areas of general tort liability, personal injury, car accident, wrongful death, and catastrophic injury. Our goal at Harshbarger Law is to consistently produce high-quality work-product, maintain close and respectful communication with clients, and to meet the highest ethical standards. Every client of ours will be treated with the utmost respect, professionalism, and privacy. We are dedicated to making sure each client receives the best and most efficient representation possible and are committed to ensuring our clients are satisfied with every facet of their experience. Our team commitment and professionalism allows Harshbarger Law to provide its clients with the best legal representation available. We service areas throughout Southern California. In 2018, Mark Harshbarger was honored by being been certified as a life member of both the Million Dollar Advocates Forum and the Multi-Million Dollar Advocates Forum. The Million Dollar Advocates Forum is one of the most prestigious groups of trial lawyers in the United States. 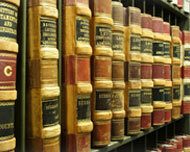 Membership is limited to attorneys who have won million and multi-million dollar verdicts and settlements. There are approximately 5000 members located throughout the country. Fewer than 1% of U.S. lawyers are members. In 2018, Mark Harshbarger was honored by being selected to the organizations Top 40-Under-40 list. Each year only 40 attorneys are carefully selected from each state. 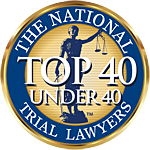 The National Trial Lawyers is a professional organization composed of the premier trial lawyers from across the country who exemplify superior qualifications as trial lawyers. At Harshbarger Law we handle all our personal injury cases on a contingency basis, so there is no fee unless we are awarded compensation for your personal injury claim. We have extensive experience handling negotiations and litigation with insurance companies related to personal injury and wrongful death cases. Our team understands the importance of providing its clients with compassionate legal services and aggressive representation. We have successfully negotiated and litigated a variety of personal injury cases involving traumatic back injuries, neck injuries, scarring, broken bones, and spinal cord injuries. Check out the latest updates from Harshbarger Law. We write about legal news that may be of interest to you.